It’s been 15 years since I was the St. Bonaventure men’s basketball beat writer. That last season, 2004, was the first following the scandal that left the program for dead. The Bonnies went 7-21 that year, and those seven wins were mainly due to the singular talent of point guard Marques Green. But that team lost 12 of their its last 13 games, including 11 in a row (and a 51-point HOME loss to the Jameer Nelson-led St. Joe’s team). That was just the start. The Bonnies won 24 games in four seasons. It was a program left behind, a program left for dead. And yet, here they are. One game away from the NCAA Tournament. One win away from the first back-to-back NCAA Tournament bids in school history. It’s impossible. Last year was the year, the team with two seniors and a strong supporting cast, the team that won at Syracuse, won 13 in a row to earn an at-large bid, and won an NCAA Tournament game. This was a rebuilding year, with three freshmen starting and a 4-10 start to the season that included an overtime home loss to Bucknell and a 34-point loss at Syracuse. Being one game away from the NCAA Tournament this year? Impossible. Last weekend, my family was in the Southern Tier and made a detour to campus. There was a basketball game going on, but we just stopped quickly by the bookstore. My wife made some comment about “main campus” and I had to laugh because there is no main campus. There’s just campus. It’s impossible that St. Bonaventure is this close to the NCAA Tournament again, because St. Bonaventure is impossibly small and isolated. You don’t happen by campus. It’s not a place you find by accident. Enrollment is 1,637. The school I teach at, which is Division III, is four-and-a-half times larger. 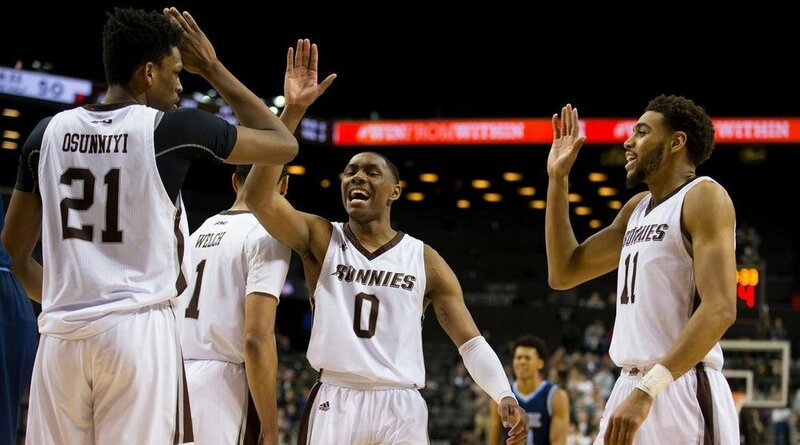 Throughout the 1990s and 2000s, as UMass and Temple and George Washington and Xaiver and Dayton grew into national basketball powers, as Davidson and St. Louis joined the conference, it was easy to view St. Bonaventure as the program that the sport forgot. Every now and then, there was talk of whether Bona should leave A-10 for the Metro Atlantic Athletic Conference. After the scandal in 2003, there was so much talk in the national media of the school being kicked out of the A-10 that the league put out a statement affirming Bona’s place in the conference. From that point, from Tony Kornhieser calling for the program to get kicked out of the A-10 in the lead segment on PTI, from 24 wins in four years, to the brink of back-to-back NCAA Tournament bids.